Several cancer studies show that certain types of cancer respond well to exercise and produce better health outcomes overall. 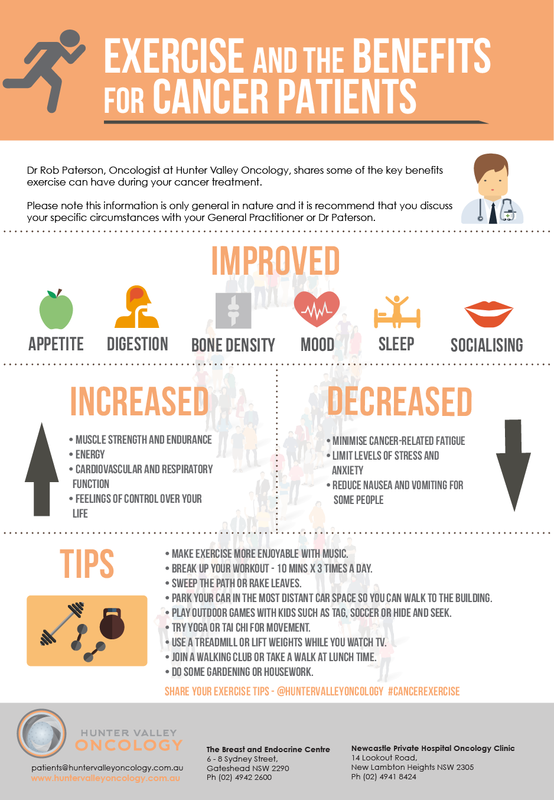 Discover some of the benefits exercise can have on your overall health and wellbeing as illustrated on our infographic below. Please note, the information provided on the infographic is offered as an educational service and is not intended to serve as medical advice. Anyone seeking specific oncology advice or assistance should consult their oncologist or general practitioner.